Enchanted Night - Big artificial leather bag. Style Enchanted night- Big artificial leather bag. Enchanted night- Big artificial leather bag. Cast your magick around with this enchanted, beautiful bag. Original design by Spirit Nest. Digitally printed on luxe artificial PU leather. 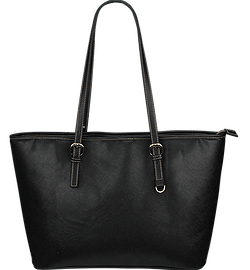 Great quality, the perfect statement shoulder bag. Digitally printed on luxe artificial PU leather. Features comfortable and sturdy carrying straps with high-quality stitching for long-lasting durability. Finished with multiple interior compartments to keep your items organized. I absolutely love this bag! Very great quality, I am so happy to have it. absolutely love this bag. I get compliments at work and love the shiny polished design. perfect size and cruelty-free.